Creatine: How Much Should You Be Taking? Creatine is the most scientifically significant supplement of the past thirty years, and I’m not just talking about the bro-science here. It’s obviously known for making athletes bigger and stronger, but that’s not all it has to offer. Creatine’s benefits are numerous, but what most people—including most supplement manufacturers, if labels are any indication—don’t understand is what it does at the cellular level. This is important because your creatine levels can affect nearly every cell in your body. Believe it or not, we’ve known about creatine for over a century, and we’ve known for nearly that long that supplementing with it does good things. For years now, the basic explanation behind creatine’s efficacy is that it’s the active transport of ADP (adenosine di-phosphate) back into ATP (adenosine tri-phosphate). An elegant explanation, to be sure, but what does it actually mean? ATP is the energy currency of your cells, and ADP results from the breakdown of ATP, which releases a phosphate molecule and ADP. ADP is then recycled, a phosphate is reattached, and ATP is formed again. Each of your cells contain mitochondria, which convert fatty-acids, ketones, and glucose into ATP via the Krebs (or citric acid) cycle. At rest, mitochondria don’t emit ATP or absorb ADP—which can be recycled into ATP in mitochondria[2-5]. Creatine instead interacts with an enzyme system called creatine kinase (CK) that’s located on the outer surface of mitochondria. It then picks up a phosphate molecule from ATP in the mitochondria, turning the ATP into ADP[6-10]. Once the creatine grabs a phosphate, it’s then called creatine phosphate. Creatine phosphate then delivers the phosphate to the area of the cell that does work, where creatine kinase removes the phosphate from creatine phosphate and combines it with ADP at the source of the work, converting the ADP back into ATP. Creatine transports the energy produced by mitochondria directly to the working parts without invoking a long series of chemical steps. It’s a brilliant system. Creatine is the material that keeps all of our cells supplied with energy through a very efficient mechanism, keeping intracellular ADP levels very low. This is important because as this concentration increases, cellular respiration decreases and can trigger the need for fast energy[11-14]. By keeping ADP levels low and recycling ADP back into ATP at the site of work, you can produce peak power for a longer period of time. Cells have three energy systems—one aerobic, and two anaerobic. One of the anaerobic systems, the glycolytic, is where glucose is burned to produce ATP. The other, the ATP-CP system[15-18], actually kicks in before the glycolytic cycle. When power production ramps up quickly, your cells need ATP at a rate higher than free creatine can supply by grabbing a phosphate molecule and delivering it to the myofibril to get turned into ATP and then burned. When you begin intense activity from rest, you already have a huge store of ATP and creatine phosphate. Your cells burn through the ATP stores, and creatine phosphate recycles ADP into ATP, but CP becomes exhausted in the process. Within cells, ATP levels never fully deplete, even at fatigue. Creatine phosphate levels, in contrast, can become almost totally exhausted[19-20]. Your ATP-CP is essentially like a battery. Your cells build up a surplus of CP and ATP during rest—and you can tap into this surplus for rapid energy. Burning up the CP prevents the buildup of ADP, which can decrease energy production when levels get too high. Supplementing with creatine can increase CP levels by up to 20 percent[21-23], giving you a bigger battery when you need it. This battery acts fast, though, lasting only long enough for the glycolytic cycle to ramp up. This cycle then only lasts long enough for the oxidative system to ramp up. These three systems don’t operate in isolation—they definitely overlap—but they each have a period where they produce the majority of the energy for the entire system. ATP-CP is critical for resistance training, sprinting, and HIIT because of the relatively sort timeframe during which it acts. Creatine supplementation does almost nothing to enhance endurance in performance[24-28], but even relatively short exposure to supplementation can improve sprint and power performance[29-37]. It’s been shown by research that training may not be able to do anything to specifically alter the ATP-PC system in isolation, because it’s always tied with the peak output and timing of the glycolytic cycle[38-40], acting only to bridge the first five seconds of high-output performance. Supplementation, however, seems to have the ability to help here. 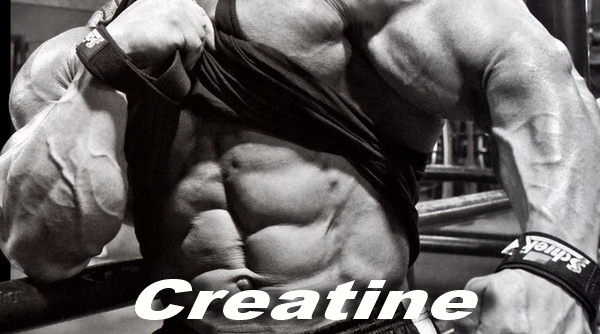 There are several different types of creatine supplements on the market. I won’t go over all of these in any detail, because it’s possible to create your own creatine “salts,” but also because it’s kind of pointless. No other version has been tested to the degree of creatine monohydrate (CM), and no other creatine spinoff has proven to be nearly as effective. I could explain this further, but I don’t want to irritate any supplement manufacturers here by explaining the science behind why their claims aren’t valid. Creatine monohydrate is incredibly well-studied—and nearly every study referenced in this article utilized CM. It’s one of the most stable forms of creatine in solution, it’s not degraded during normal digestion, and 99 percent is either absorbed by muscle tissue or excreted through sweat or urine[41-42]. Other forms of creatine may be more soluble, but that has nothing to do with effectiveness. Creatine monohydrate is simply your best—and cheapest—choice. Researchers initially found that 20 grams per day of creatine, taken for five days, successfully raised muscle creatine content by 30-45 percent. The same protocol—20 grams per day, then maintenance of supraphysiological concentration with 2-3 grams daily after that—has been used since 1996 with little to no deviation in the research. Consider the fact that a 150 pound male (70 kilograms) will burn through about two grams of creatine naturally every day. Since 95 percent of creatine exists within muscle tissue, the average resistance-trained athlete would require greater amounts of creatine just to maintain normal cellular levels. The two-grams-per-day maintenance level is the current recommendation by the American College of Sports Medicine’s expert panel on creatine. After using more advanced methods of determining intracellular creatine levels in 2003, however, researchers found that after two weeks of using the standard protocol, intracellular creatine levels returned to baseline. The 20 grams-per-day mark was little more than an arbitrary choice by early investigators, and for some reason, it stuck. Even researchers using formulas accounting for bodyweight and body mass still assumed that a 150 pound man should take 20 grams of creatine per day. Nobody tested this assumption. This can’t possibly be the optimal dosing schedule for everyone. Humans carry about two grams of creatine per kilogram of lean muscle mass (one gram per pound). The maximum we can put into muscles is about 3g/kg (1.4g/lb). To hit this level, a 150 pound male would need about 25 grams of creatine supplementation. My hypothesis is that this would be the minimum amount of creatine needed, daily, to maintain maximum intracellular levels—with the division by 0.95 taking into account the amount of creatine absorbed by the rest of the tissue in the body. There may be a better way to estimate the minimum daily dose, but the data for this doesn’t yet exist. Although these formulas would appear to overestimate needs, bear in mind that one gram of creatine monohydrate is only 88 percent creatine. The overage takes this into account. Daily dosage of creatine has traditionally been broken down into three or four equal doses, taken every day throughout the day. Again, this has never been directly tested to see whether it’s necessary. In fact, one group of researchers may have proven that you don’t need to take creatine all day—and that you don’t need to take it every day—as long as you’re averaging the necessary amount per day. Instead of taking 30 grams per day, it may be possible to take 60 grams every other day for the same results. This leads me to believe that taking creatine in divided doses all day long is probably unnecessary. If you'd like to see Kiefer's sources, click here. DH Kiefer is a Physicist turned nutrition and performance scientist. He’s been researching, testing and verifying what hard science proves as fact for over two decades and applied the results to record-holding power lifters, top ranking aesthetic athletes, MMA fighters and even fortune 500 CEOs. He’s the author of two dietary manuals, The Carb Nite® Solution and Carb Back-Loading™, and the free exercise manual Shockwave Protocol™. He’s currently considered one of the industry’s leading experts on human metabolism and plans to stay there. He’s a featured writer in every issue of FLEX and Power Magazine. You can learn more about him at www.dangerouslyhardcore.com.